NEW YORK CITY - JUNE: Night urban scenery in Chinatown, New York City in June 2015. 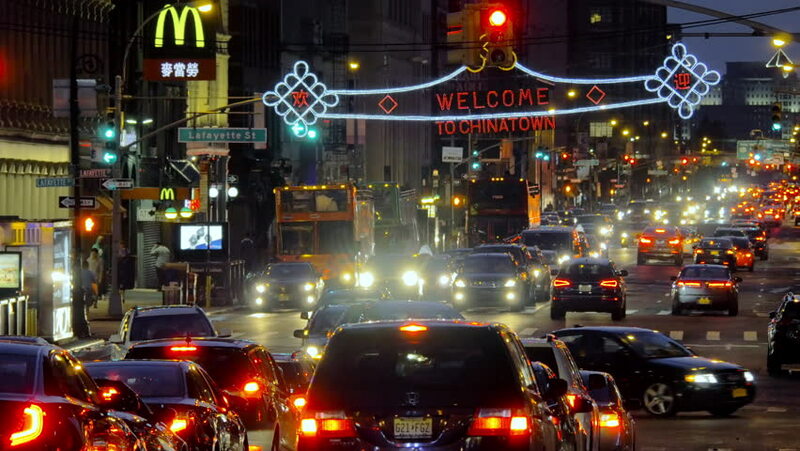 Manhattan Chinatown is home to the largest enclave of Chinese people in the Western Hemisphere. hd00:20Bangkok, Thailand - April 3: Rush hour traffic on busy street, Bangkok, Thailand. hd00:12BANGKOK, THAILAND – MARCH 2017, HYPERLAPSE, TIMELAPSE: Jaw dropping shot of Bangkok's nighttime traffic near shopping malls. Breathtaking light show of cars' break lights on a frantic spring night. hd00:25Bangkok, Thailand - April 3: Traffic on busy street during rush hour in Bangkok, Thailand. 4k00:17Chengdu, China - May 7, 2016: Busy street scene of Chunxi Road in Chengdu, China at night. 4k00:1026th December 2018. Bangkok, Thailand. Christmas new year 2019 decoration at Rajprasong intersection. traffic at shopping district in Bangkok, Thailand. 4k00:29NEW YORK CITY - JUNE: Night shot of congested street traffic in June 2015 on Manhattan, New York City. NYC is the most populous city in the United States.